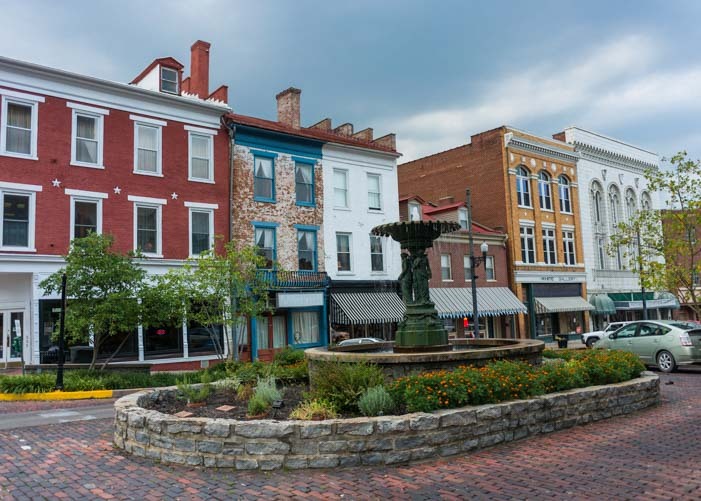 Maysville, Kentucky – Come for the History, Stay for the People! 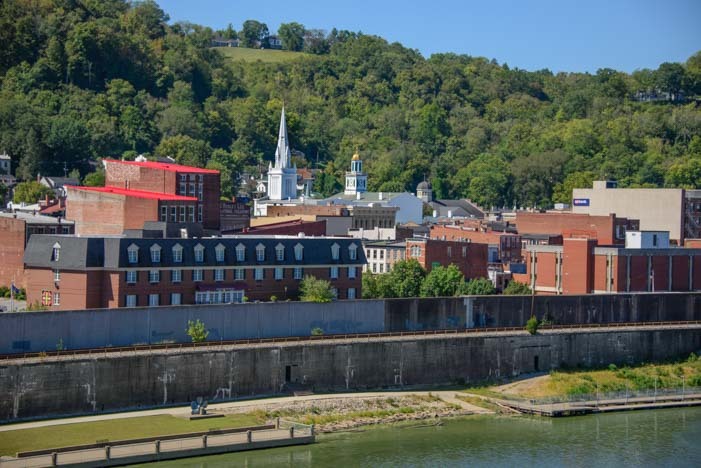 September 2015 – After a delightful two weeks in the New York Finger Lakes, our RV travels took us south through Pennsylvania and Ohio until we found ourselves on the shores of the Ohio River, staring at a very cute town on the opposite river bank in Kentucky. 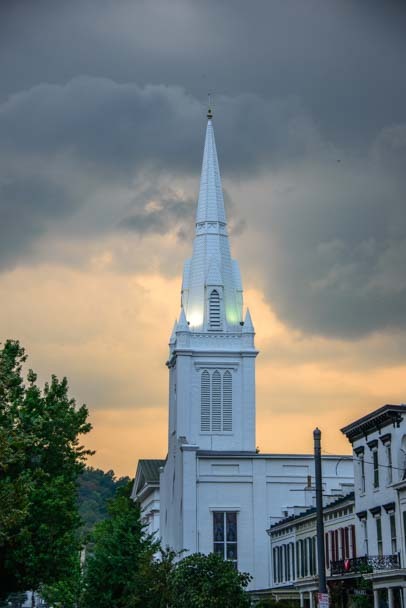 There were church steeples and old brick buildings, and it looked very appealing. What was this place? Looking across the Ohio River from Aberdeen. The town on the other side sure looks cute! As night fell, the town on the other side became even more alluring. 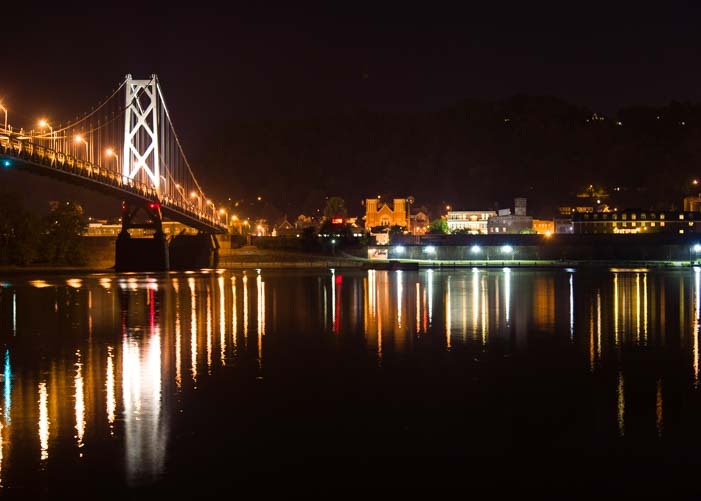 The suspension bridge that spanned the Ohio River was lit up, and the city lights from the town across the way were reflected in the water. That town over there sure is cool, day or night! The next morning we just had to go check this place out, so we headed across the bridge. 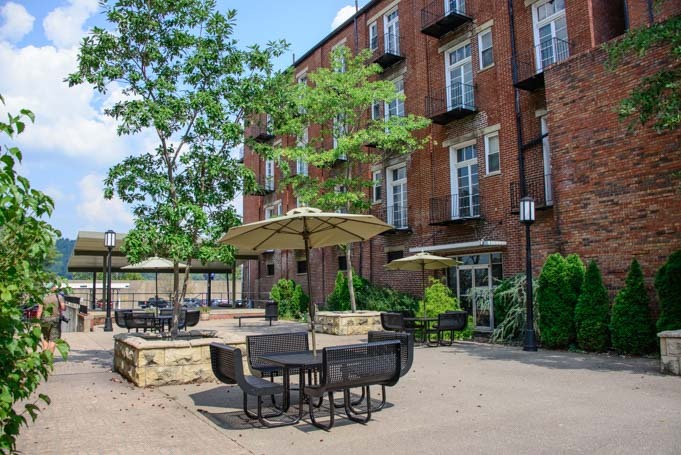 We had looked the place up on the map and found out it was Maysville, Kentucky, a town loaded with history. As we looked out over it now the town seemed to sparkle in the morning sun. We hopped out of the truck and were soon prowling around town down by the river. 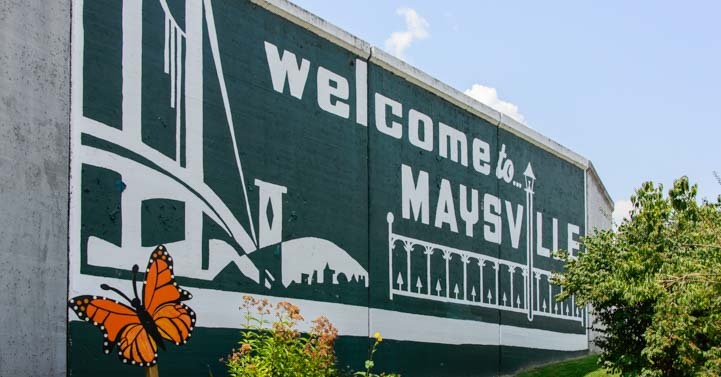 We came across a huge sign painted on a towering concrete wall welcoming us to Maysville. This wasn’t just any old ordinary “Welcome to Town” sign. For one thing, it was enormous. For another, it had an orange butterfly in the corner. We would soon discover that this cheerful little guy was much like the spirit of Maysville. As we walked back up into town and looked around we were charmed. 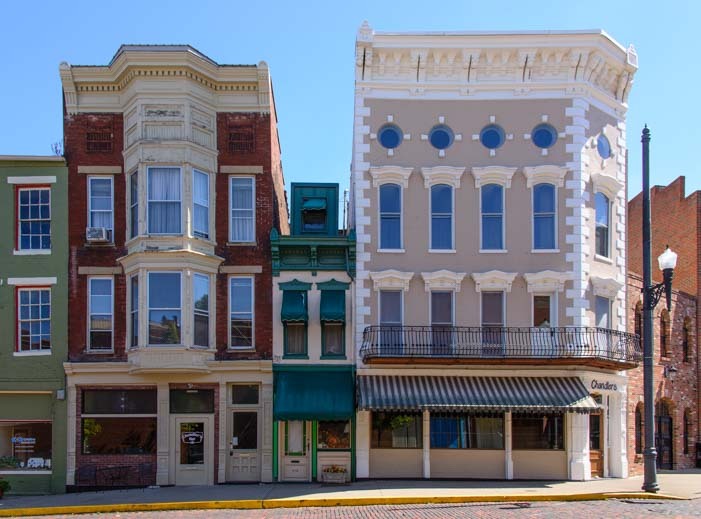 We seemed to have landed in the heart of the historic district of Maysville, and everywhere we turned the buildings were all different colors. Multi-colored buildings stand against the ever-present backdrop of the Simon Kenton Memorial Bridge. We wandered up Market Street where there was a fountain bubbling in the middle of the street. The center of Market Street boasts a pretty fountain. Down at our feet we found cool wavy patterns of brick. 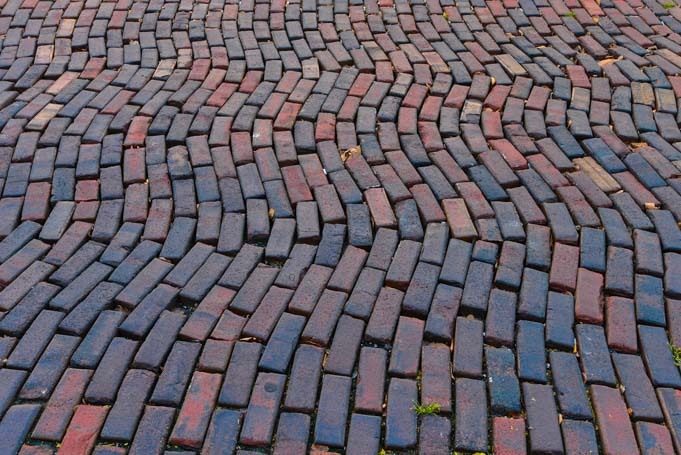 The streets are brick — how fun! The buildings around us were downright jaunty. No two were alike. Tall, short, wide, skinny, they all stood together, wonderfully mismatched yet cozy and congenial. The pretty buildings are all different colors AND all different sizes! 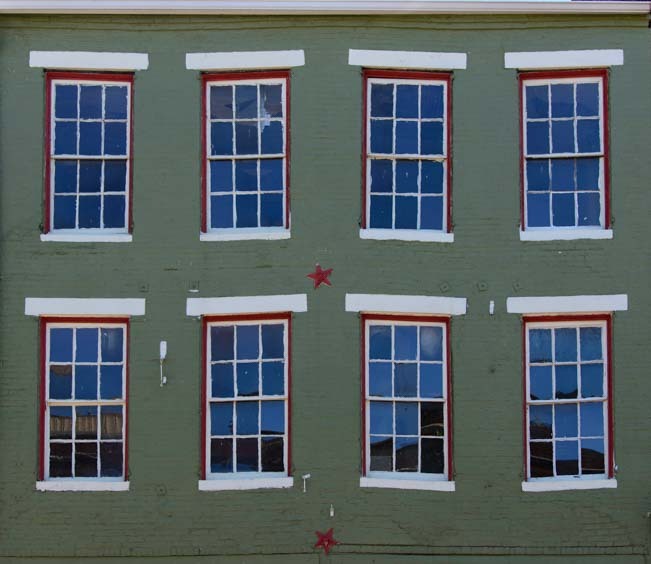 Looking more closely at one building, we noticed that even the windows were free spirited and jovial. None of the lines were square and each window stood at an angle. The angles of the windows make quizzical expressions! 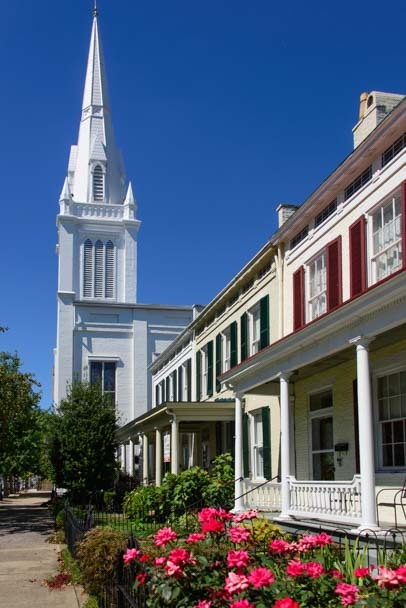 There had to be stories behind these wonderful buildings, we thought. Fun stories and unusual stories. 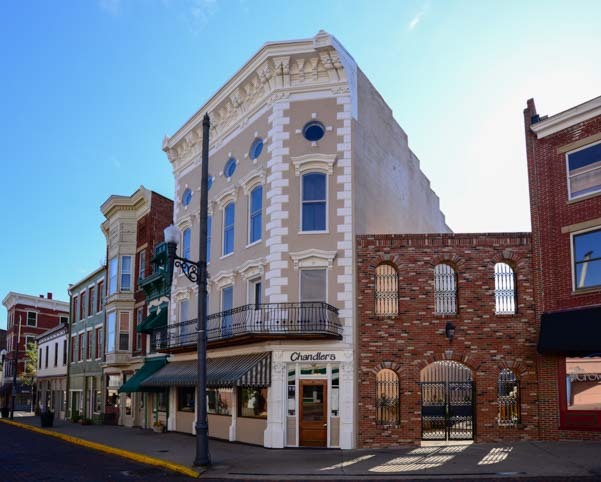 If only those old storefronts and upstairs apartments could talk! 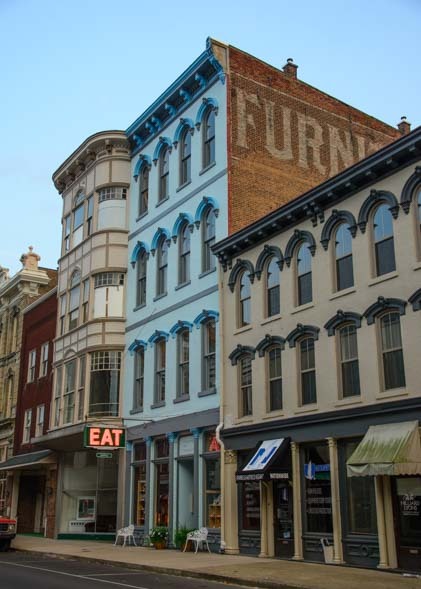 Ornate buildings on Market Street. We wandered up and down the streets, marveling at the elaborate detail on the building fronts. 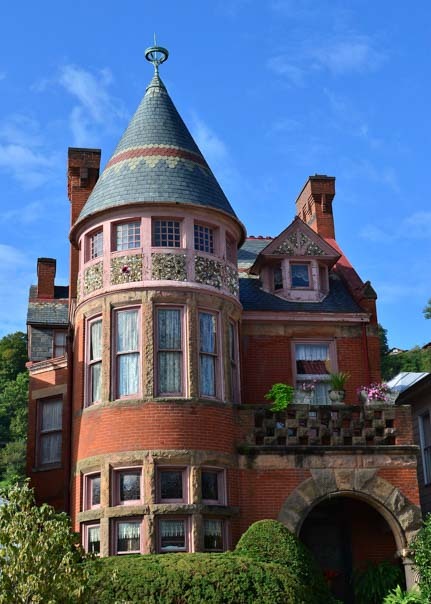 One building had a fabulous rounded turret with a peaked top worthy of Rapunzel. Rapunzel, Rapunzel, let down your golden hair! Wrought iron and fancy carved woodwork adorned another, and next door to it the sun peaked through a wrought iron gate. Morning sun shines through a wrought iron gate and windows. This place was just plain cool! The town was very quiet during the morning hours, and we almost felt like we had the place to ourselves. 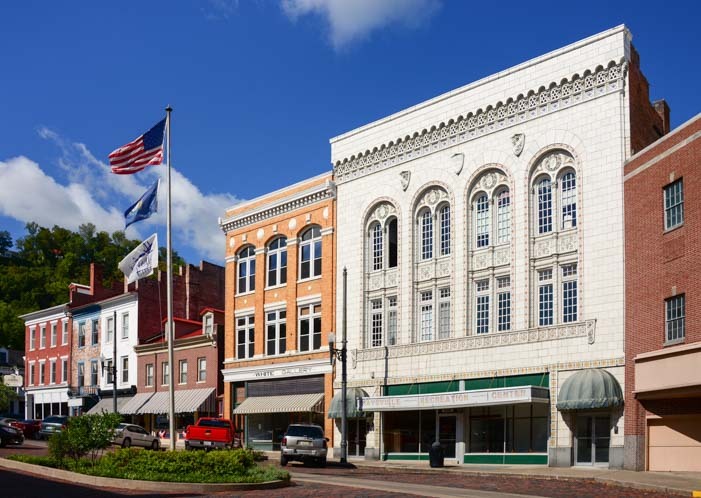 But what we were soon to discover is that these buildings are home to one of the liveliest, warmest and friendliest communities of people we’ve ever met anywhere. but the people here are even better! It’s not the buildings that make a place lovable. 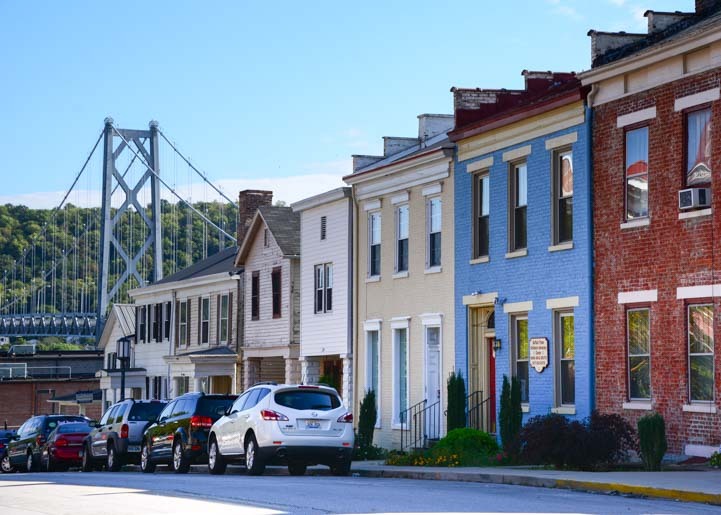 As delightful as the architecture is in the town of Maysville — and some of the most appealing buildings in town are the seven adorable red brick “days of the week” row houses that run up a hill bearing names from Sunday to Saturday — it is the people that make a community come alive. 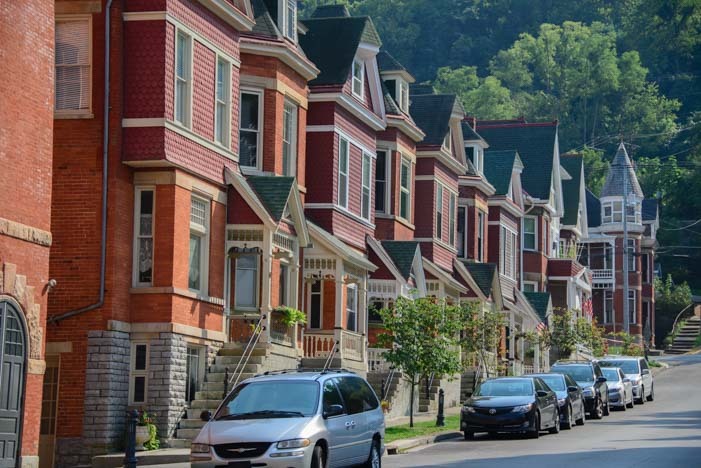 These row houses are named after the days of the week! 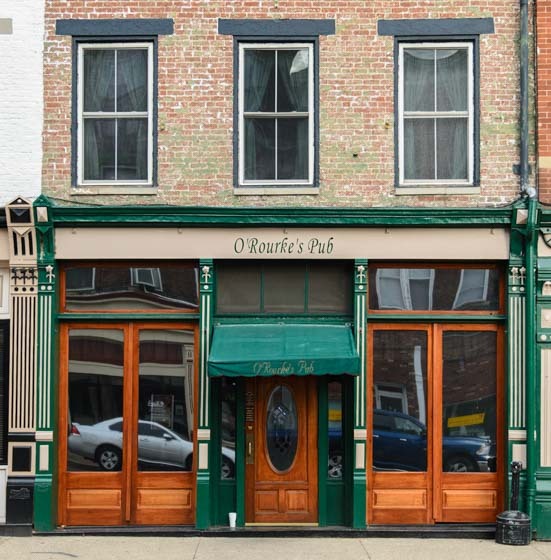 On our first night in town we stopped in at O’Rourke’s Neighborhood Pub and soon found ourselves swept up in energetic conversation, laughter, and rapidly growing friendships, immersed in the local scene as if we had lived in Maysville all our lives. It felt as if we had suddenly taken off our jackets that had the word “Tourists” emblazoned on them and had put on the Maysville team jersey instead. “Where everyone knows your name,” even if you’re from out of town! This little pub was the kind of place where everyone knew who the out-of-town folks were, but rather than keeping the outsiders at a distance, they asked us to pull up a chair and join their big groups at the tables. On the next night, the bar owner, Norbert, sat with us, and between telling us tales of the town’s history, he introduced us to one person after another as they came in. From local attorneys to workers in the nearby limestone mine and power plant, we met one new friend after another, and they all openly shared tidbits of their lives and stories with us. What’s more, they all had wonderful recommendations of things we really must see and do during our stay in town. Suddenly, we couldn’t leave. There was just too much to do here! How blessed we felt to have the time to be able stay and relish this precious place. In our travels we’ve found it is really rare to be able to visit somewhere and truly become an integral part of it and enjoy it from the inside rather that remaining on the outside looking in. Our days in Maysville will forever stand out in our memories because the people we met let us bridge that gap and become locals for a while. 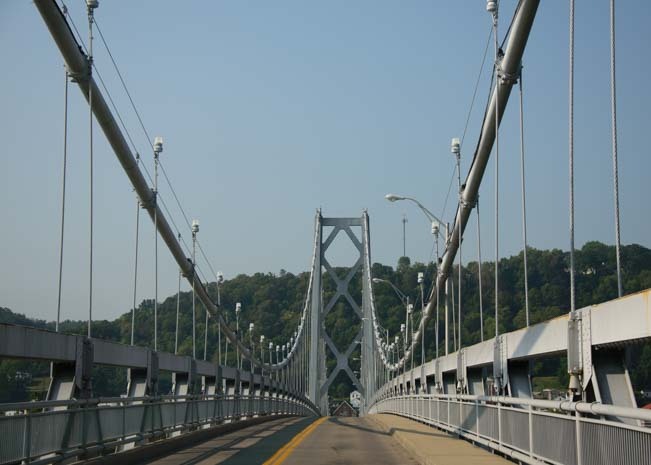 This entry was posted in Kentucky and tagged Kentucky, Maysville Kentucky, New, Small Towns, Travel, USA, WP Travel by Roads Less Traveled. Bookmark the permalink. how charming! What a fun adventure! It really was, Connie, and so unexpected! WoW! Beautiful! and so interesting. Will put on list of stops! 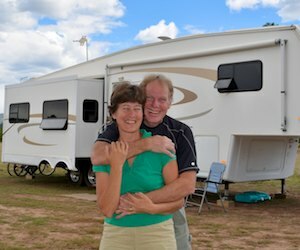 PS: just waiting for home to sell to can begin our mode of travels to RV full time instead of auto/resorts! Good luck in your travels, Ed and Cindy. 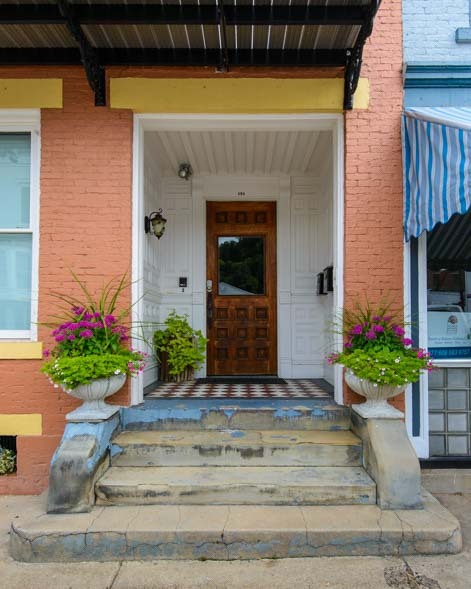 You will really enjoy Maysville when you get there!! 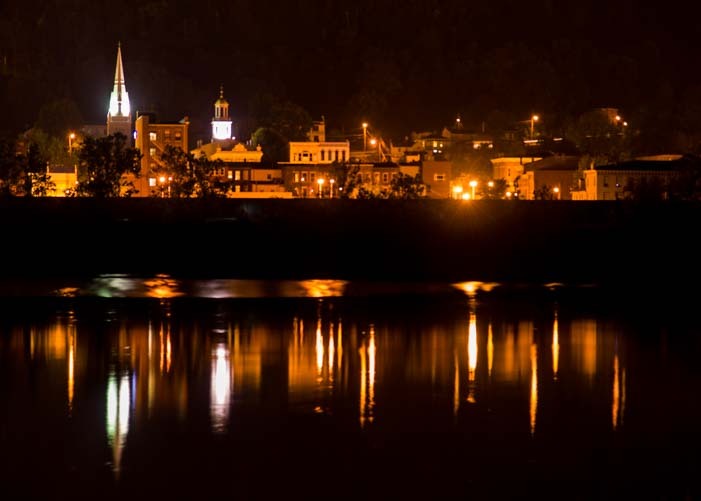 Maysville, Ky, a wonderful town! Glad you enjoyed out little o’ river town. Come back & see us again sometime. We plan to, Mark. Maysville is a very special place! Upgrading our trailer to disc brakes (left) with a good quality brake control (right) has been a life saver. Learn more here: Trailer Disc Brake Conversion.